Through visualization we breathe life into data. You can find answers to your questions and take appropriate measures. 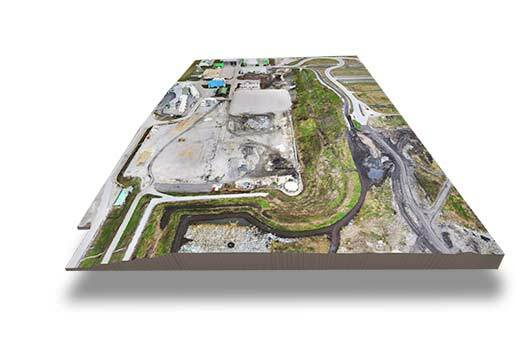 Advanced photogrammetric methods enable us to interpret aerial photos and develop large scale topographic and thematic maps. 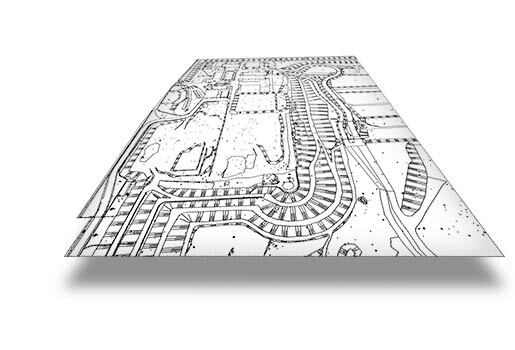 For topographic maps, we use elements of the Earth’s surface such as waters, relief, settlements, vegetation, traffic routes etc. This data is used to analyse characteristics of a land, its orientation, and planning of developments in that area. Thematic maps, on the other hand, are used to display information on a certain type of buildings or features present on the Earth’s surface for various activities of interest to our clients such as forestry, mining (opencast mining), agriculture, geology, civil engineering, transport, tourism, cultural heritage etc. The point cloud, i.e. 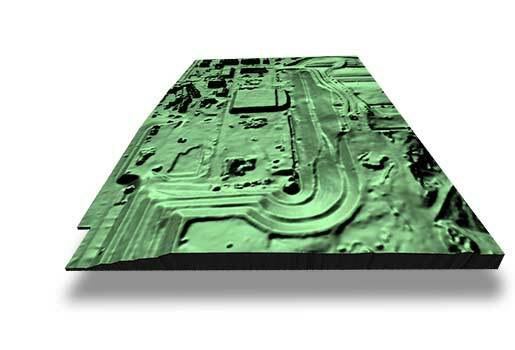 raster and metric 3D surface model, is situated in a virtual 3D space. Using specialized software tools we control virtual lights and camera and determine the path along which the camera moves in this virtual space. Camera movement in a virtual 3D space is similar to the movement of any real camera in the real world, except for the physical limitations which here are non-existent. This is how a so-called Fly-Through Animation is created. It represents the virtual camera travel through the cloud of points and allows the user to observe the terrain very clearly and experience the area or object represented as a point cloud in the virtual space. Can you imagine a walk across a remote landscape while sitting at your desktop? Through our aerial photography and the derived metric 2D raster and orthophoto mosaics as well as 3D digital models, we significantly improve the efficiency of GIS professionals whose work depends on timely and high-quality spatial data. 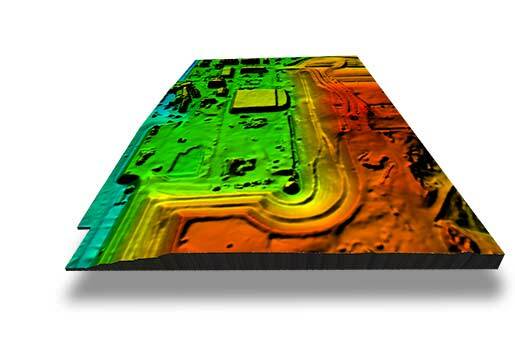 On request, we develop models of the earth’s surface or objects which our customer can immediately and directly use as substantive sections of their spatial information systems. We offer a wide range of possibilities in depicting spatial data, adapting it to the content, purpose, method and medium of use. Spatial data can be presented in the form of maps, panoramic depictions or 3D models, either in digital or even physical form (by printing on different materials). The output formats of our digital products are suitable for use in standard GIS or CAD systems as well as photogrammetry software.